I remember years ago when I was in college and Pandora took the Internet world by storm. It was awesome and everyone was taking advantage of its never-before-seen music capabilities. Unfortunately, that glory only lasted so long for me and I’m assuming the same can be said for others with the release of the ever-so-popular Spotify. It seemed that Spotify was able to do something never before seen; give a listener access to all of the world’s music for free in one place. Unfortunately, that glory only lasted so long for me and I’m assuming the same can be said for others with the release of the ever-so-popular Spotify. It seemed that Spotify was able to do something never before seen; give a listener access to all of the world’s music for free in one place. On the real, this statement is only partially true and needs a bit of an explanation for those not familiar with Spotify. Spotify does give you access to a huge selection of music for free. On your desktop, you are able to create a radio station based on an artist you enjoy and Spotify will play songs by the selected artist and artists similar. You are also able to do this on both your tablet or smartphone. Additionally, on your desktop, you are able to search for a particular artist, song, or album you enjoy. If it exists in the Spotify database, you are able to listen to it for free. But in order to get this same functionality on your smartphone or tablet, you need to pay for the membership which is a significantly high monthly price (if you ask me). There are a handful of perks that I’m not going to explain so I encourage you to sign up for Spotify yourself and give it a whirl. So why am I talking about Spotify if my post title is in reference to targeted advertisements? Well if you are as addicted to Spotify as I am, like you listen to the free version in the car, at your house, working in the office, or killing time in the bathroom (kidding…partially) you’ve had the misfortune of having your groove interrupted every few songs by advertisements. These supposedly targeted advertisements are essential to keep Spotify in business and able to offer a free tier of their service. That makes complete sense and is 100% what they should be doing! I get it. What I don’t get is why these ads don’t seem to be targeted to me at all. This complaint is pretty straight forward. There have been times when I’ve been listening to Spotify in the office at 4:00 pm PST and heard advertisements directed toward people who are on the East Coast. How do I know? Simple. The ad said something like, “now that it is passed dinner time and you are getting ready to wind down for the night… (or something similar)”. So being that it is highly unlikely that 4:00 pm PST is way past anyone on the West Coast’s dinner time (nursing homes aside), it was clear that ad wasn’t geo-targeted properly. This one really, really, bothers me. I strictly listen to Hip Hop and the occasional James Brown or Justin Timberlake (huge JT fan by the way). None of those artists are country music or remotely close to country in sound, featured artist, producer, and the list could go on really. So an advertisement about a new country album isn’t going to get me to click, listen, or want to purchase that album. In fact, it is a waste of ad dollars. This is more of a personal preference for me, but I will point it out anyway. Some of the advertisements are clearly by a particular artist or company. So those ones generally speaking are much better in terms of delivery. However, the ads that are for Spotify Premium just seem to miss the mark (in my opinion). I don’t know if it is the way they are written, the individuals acting in them, or a combination of the two, but it seems there is a disconnect. More times than not, I find myself annoyed and turned off. If you are investing money into advertising, you are going to want to see an increase in ROI. That is why it is important to target your advertisements properly. To best understand the benefits of targeted advertisements, it is easier to break them into two sub-categories based on the parties involved; consumer and advertiser. More effective delivery of desired goods (product or service) directly to your door step. Example: If you want shoes and you see an ad targeted to you with the style, color, or brand of shoe you are searching for, you are much more likely to buy. More direct delivery of a message that relates to your interests. Example: If you enjoy hip hop music and advertisements are delivered in a way (using jargon or other elements) that associates with this “lifestyle”, you are more likely to take an interest. Example: If you have more information regarding your target audience, you are able to use this information to make more concise decisions. Example: This refers to the creative process because (similar to above) if you know more about your target audience it will require fewer people, time, etc. Example: A higher understanding of your target market will allow you to achieve overall better results with your advertising campaigns. Example: This is simple. 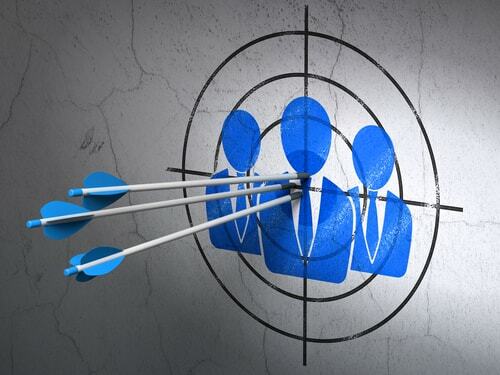 Targeted advertisements will yield higher results for a lower cost because since you know more about your customer, all the previously mentioned points should apply. There are so many reasons a company should target their advertisements based on any data that relates to their target consumer. This is very important and although in theory it seems simple, it can be difficult to attain the needed information at times. It may be helpful to work with a research group or perform your own market research if you have the time or capital. If you have any experience with targeting advertisements, please leave them in the comments below.